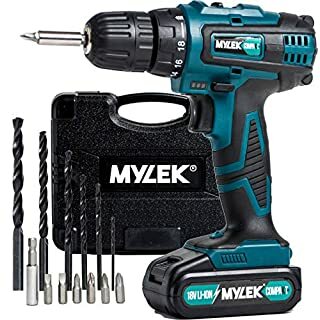 MYLEK 18V Cordless Drill Driver, 1300 mAh Li-Ion battery with 1 Hour Quick Charge, 2 Speed with LED Work Light, Carry Case with 13 Piece Accessory Kit, Variable Speed & Quick Stop Function. 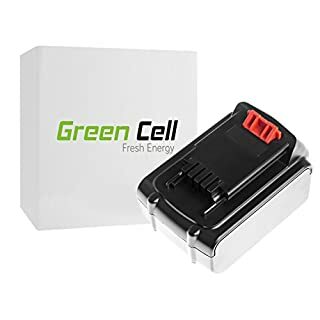 Green Cell®is a renowned brand of top-class products that satisfy even the most demanding users. Green Cell® excels in providing power for mobile devices, such as laptops, mobile phones and power tools. Thanks to a combination of top-quality materials and modern technology, this brand of batteries and adapters has been unparalleled for years, as proven by independent tests. 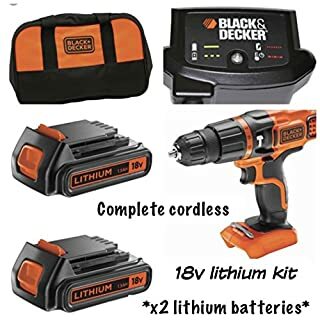 The original Green Cell® battery is 100% compatible with the Black & Decker BDCHD18KB power tool.✔Key features: State-of-the-art cells - Green Cell® stands for top-class cells: no memory effect, long service life and high durability High capacity - thanks to high-density cells Green Cell® offers high capacity and consequently autonomy More than 500 charge cycles - brand cells are highly durable so the batteries last for a long time The best electronics - 100% compatible and safe thanks to modern safety features Guarantee of real capacity and compatibility with original power tools, chargers and different battery capacities Lightweight and compact size products in the highest standard of ergonomy and efficiency Reliable in every conditions - 12-month manufacturer's warranty - a year of professional support in case of any problems Technical data: Cell type: Green Cell® Li-Ion cells Capacity: 3 Ah Voltage: 18V Certification: CE, RoHS, FCC ⚙ Compatible with the following power tools: Black & Decker BDCHD18KB Green Cell® "Fresh Energy"
Black & Decker 18V Cordless Hammer Drill With 2 Li-ion Batteries. Brand New. 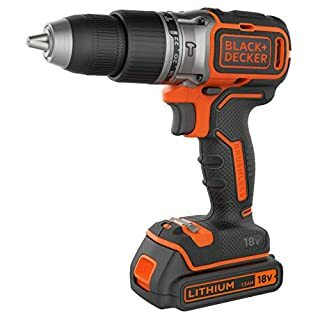 This 18V Hammer Drill is compact and lightweight. It gives you a maximum drilling capacity of 25mm for wood, 10mm for steel and 10mm for masonry (concrete). The drill bit tip is vibrated and shunted forwards as it turns so you can drill quicker with less effort. With 11 torque settings, it is ideal for perfect screwdriving into a variety of materials with different screw sizes. It includes two 1.5Ah batteries, 400mA charger and a soft bag. 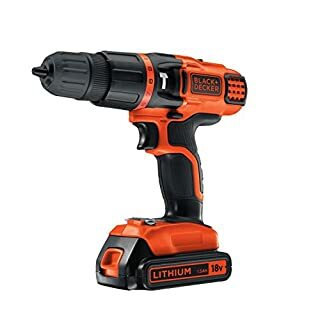 Compact and lightweight hammer drill that delivers max drilling capacity: 25mm for wood, 10mm for steel and 10mm for masonry. 11 torque settings for perfect screwdriving into a variety of materials with different screw sizes. Model number: BDCH18SB-RGGB. 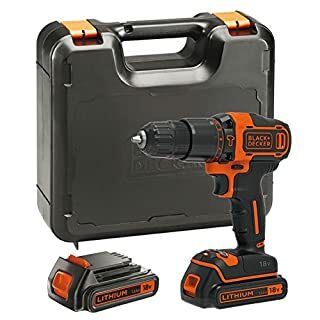 Drill Features: Includes 2 batteries. 18V battery power. Variable speed. Max speed: 1400rpm. Forward/reverse function. 10mm keyless chuck. 2 gears. 11 torque settings. Maximum torque 40Nm. Soft grip handle. 1.5Ah Li-Ion battery. Drilling capacity for wood 25mm, steel 10mm and masonry 10mm. Charger included - Fitted with UK 3 pin power supply plug. EAN: 5054905009915. General information: Carry Bag included. Manufacturer's 2 year guarantee. 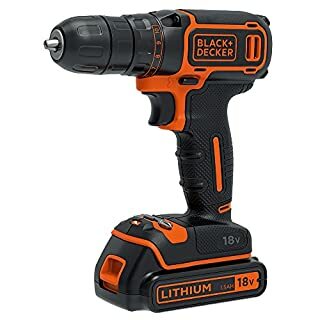 Make light work of household tasks with this superb cordless hammer drill from Black + Decker which has an impressive 18 V power rating. 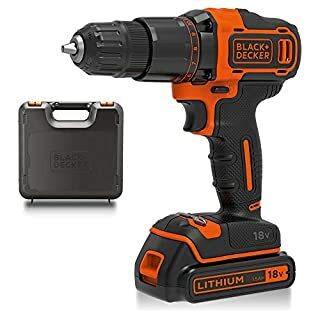 Featuring brushless technology, the drill has a contactless electronic motor which reduces friction and gives the drill more power and a longer running time. It also has two speed settings as well a reverse switch to give you complete control and take strain away from drilling. 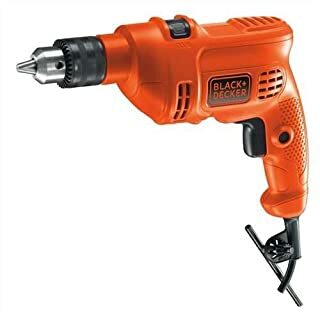 Designed for convenience the drill is compact and incredibly easy to operate.